With a Vantage Hearth wood burning firebox you get the best of both worlds – your family can enjoy it with real wood or combine with a gas log set to keep the look of a traditional wood burning fireplace without the mess. 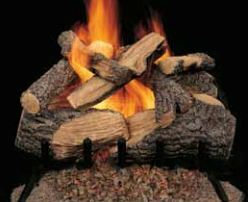 A Vantage Hearth vented gas log set also available in a variety of styles gives you that real wood fire look. 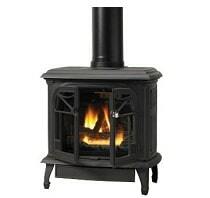 For maximum efficiency close the damper and add a Vantage Hearth vent-free gas log set (and fireplace hood). At 99.9% fuel efficiency you’ll get both warmth and savings.